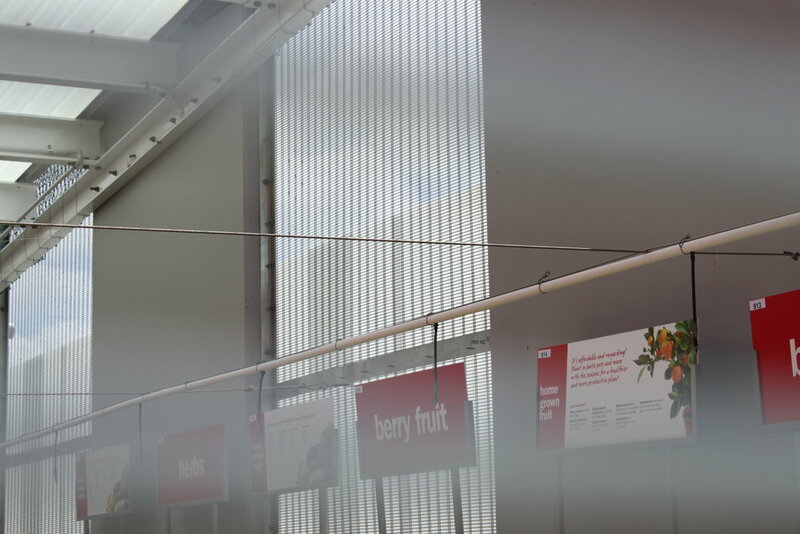 On 10 November 2015, Pak'N Save opened a new store at 240 Ormiston Road, South East Auckland. The massive 6160m2 store employs 130 staff and has been warmly welcomed by the local community. 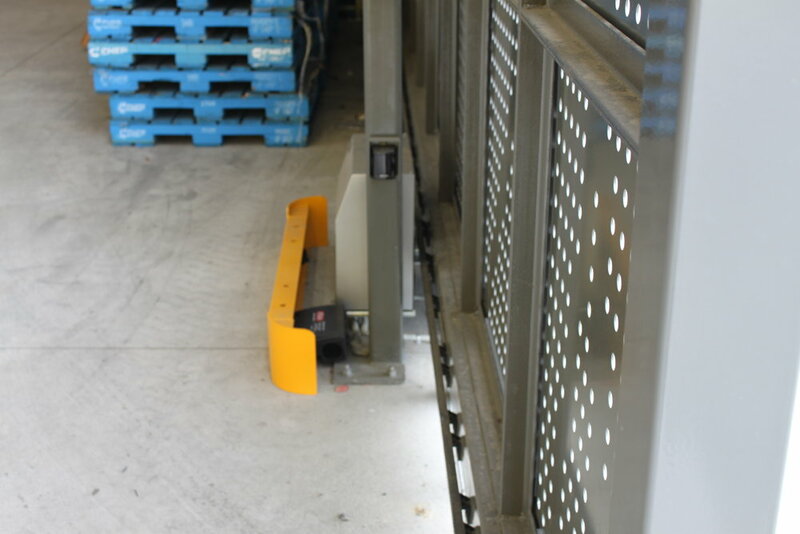 An integral element of the effective daily functioning and security of the supermarket site is a set of large automated gates into and out of the Inwards Goods area, at the side of the complex. 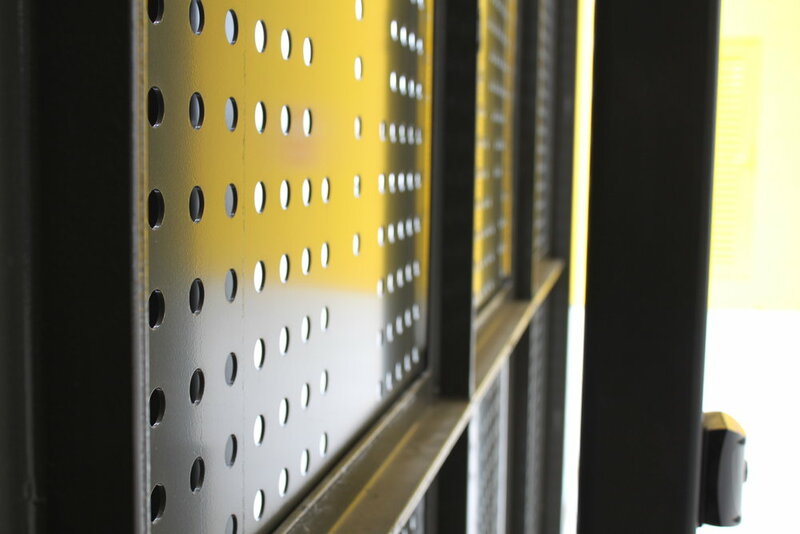 The gates were architecturally designed by Jasmax to seamlessly blend with the overall aesthetics of the site, whilst ensuring hassle-free use and robust security. 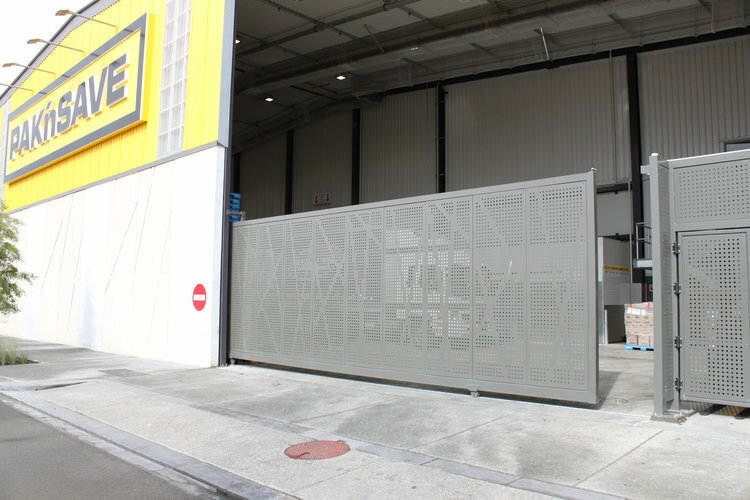 Hampden Fence was contracted to custom fabricate the large 3.1m (h) x 10m (w) sliding gates and project manage their transport to site, installation and automation. 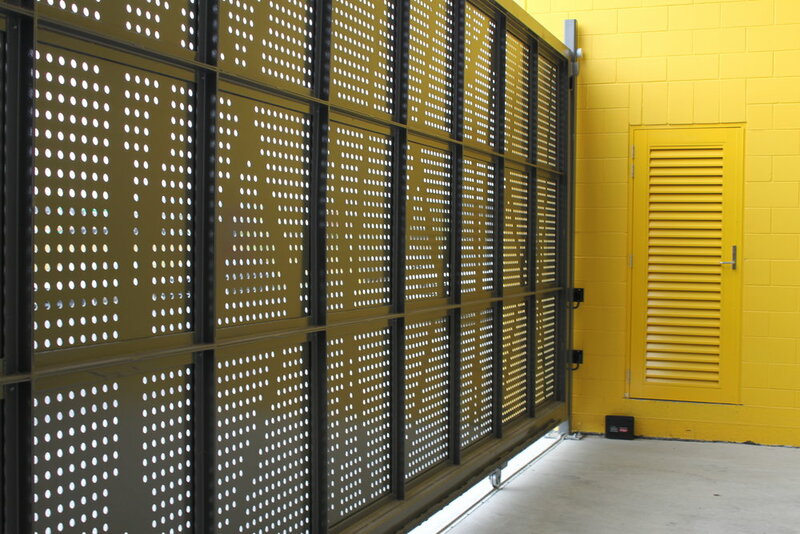 The scale of the gates provided a number of challenges throughout the project. 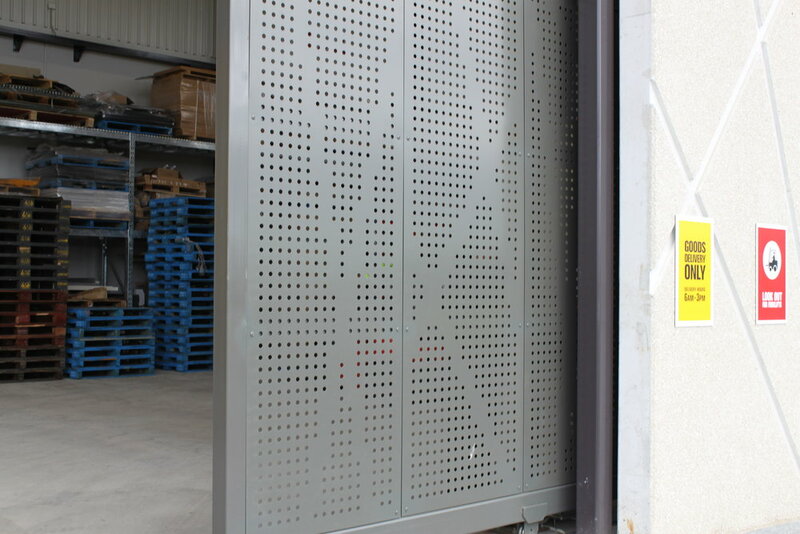 Their size meant they were awkward to manoeuvre during fabrication and transportation, and more complex to install than most typically smaller gates. Hampden's expert team was able to call on many years of experience and well planned processes to ensure the project was successfully completed on time and to budget. Fairfax Media recently invested over $7million in their brand new Ponsonby premises, which is home to more than 500 of their Auckland staff members each working day. The move aimed to ease transport for the businesses many staff. 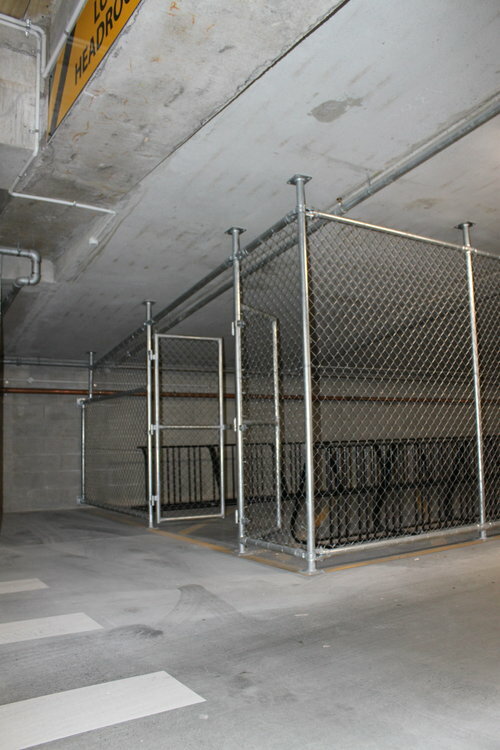 With this, Fairfax’s contractor Ebert Construction contacted Hampden Fence to assist with an aspect of the building, which also contributes to the ease of transport. 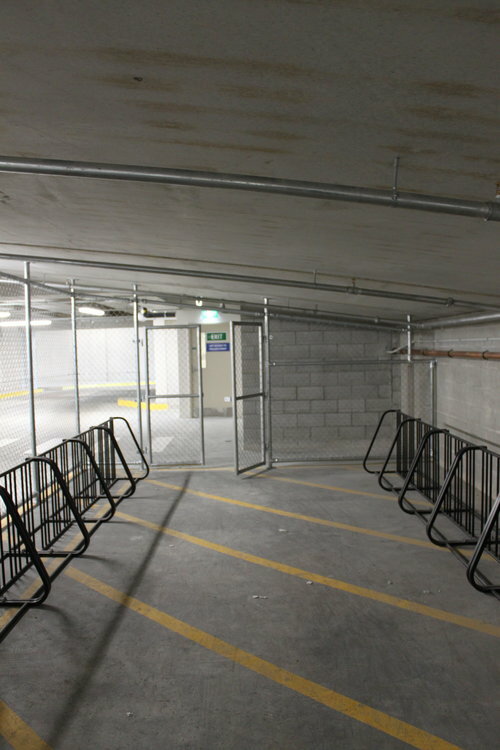 Hampden installed a purpose built pipe & mesh chainlink bike enclosure and bike racks to provide a dedicated, safe space for cyclists within the building’s busy carparks. Sylvia Park is one of New Zealand’s largest shopping malls, with over 200 stores. The site keeps on growing with the addition of more international brands like Zara and H&M. 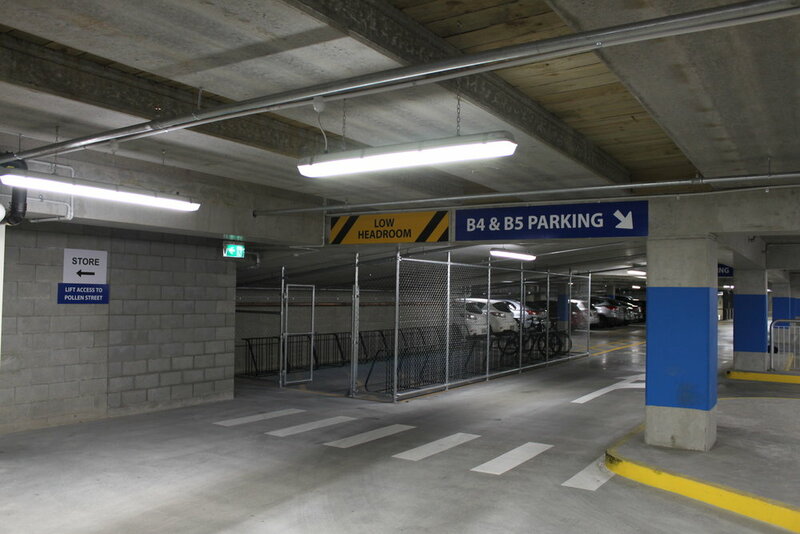 With Sylvia Park’s growing list of new stores, the need for more storage went hand in hand. 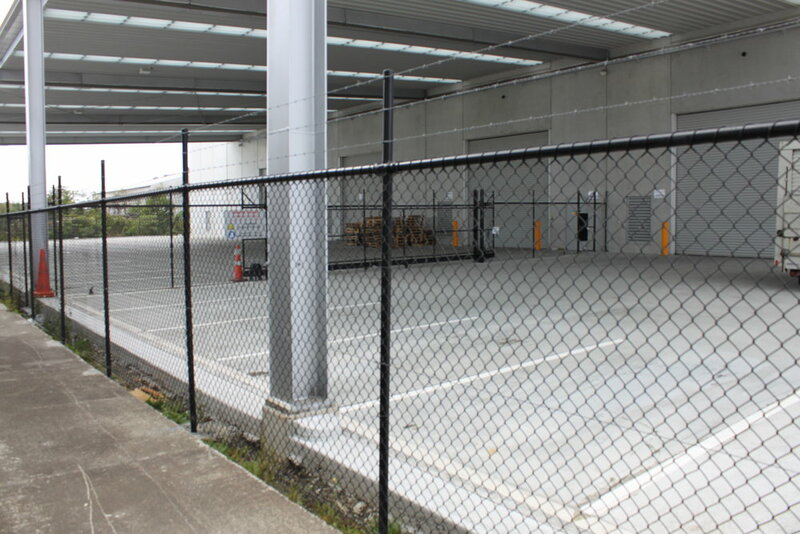 Kiwi Property called upon Hampden Fence to install purpose-built internal storage cages using Pipe & Mesh Chainlink enclosures. 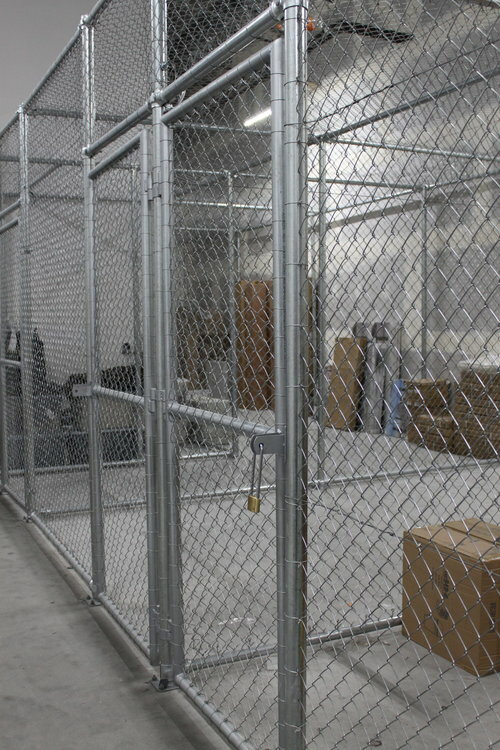 Each enclosure door includes a fall arrest safety cable, a standard addition to all swing gates installed by Hampden Fence. 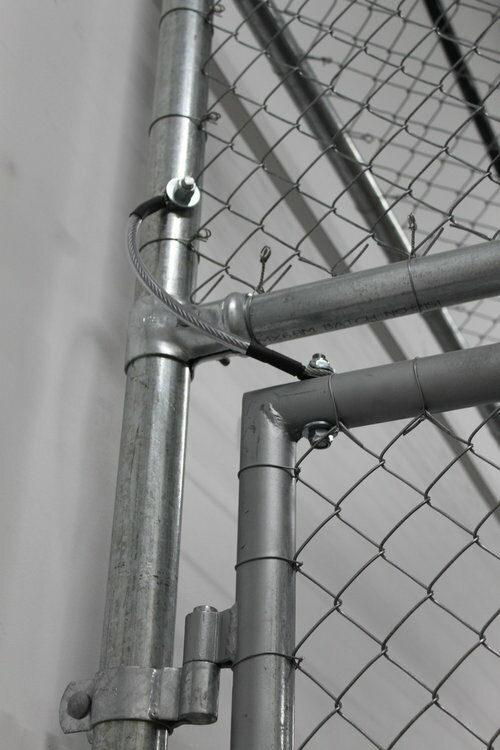 These cables ensure the safety of staff using the storage units, if the gate hinge were to become damaged and fail, the fall arrest cable would prevent the gate from falling and therefore protect a person from gaining injury. Back in 1982, a group of people decided that organic food products were the way of the future and Ceres Organics was born. Today, Ceres distributes to an extensive and growing organic food store network across New Zealand and Australia which demands Ceres whole food products. 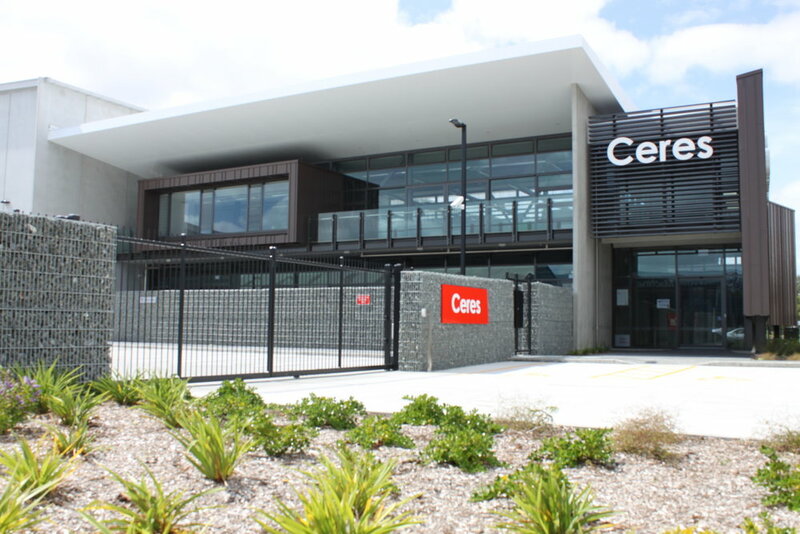 In September 2013, Ceres moved into a new headquarters on Carbine Road in Mt Wellington Auckland - the first 5-star plus ecological warehouse to be built in New Zealand. This exceptional new distribution facility features a stunning new office facility at the front roadside end of the site and a large distribution facility to the rear, purpose designed to meet the needs of the business. 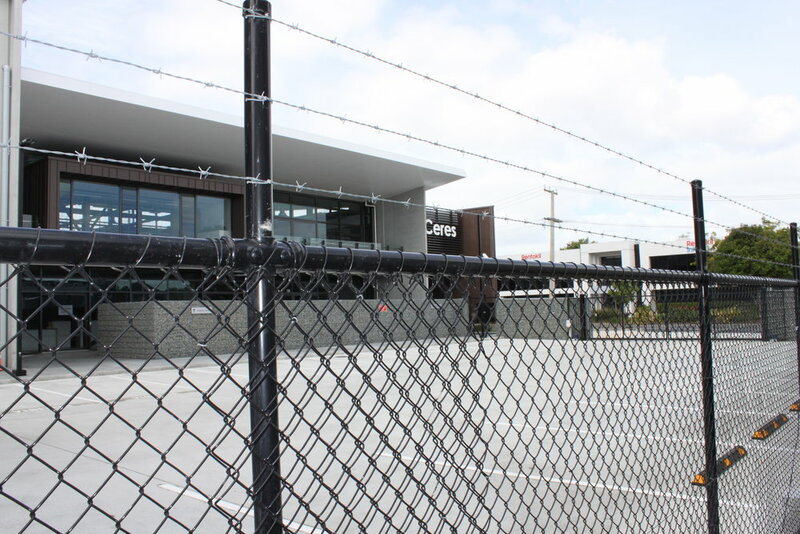 Hampden Fence helped Ceres to secure its new site with high quality, New Zealand made Pipe & Mesh chainlink fencing (in a black PVC finish) with additional barbed wire security on top. 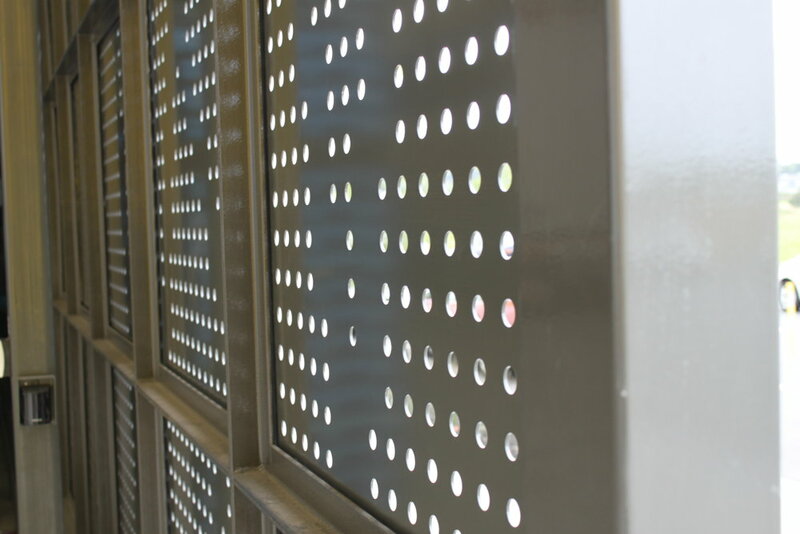 The black PVC finish allows the pipe & mesh chainlink fencing to subtly blend into its surroundings - which ensure the site remains highly secure, but without the overall impression of a prison or fortress. 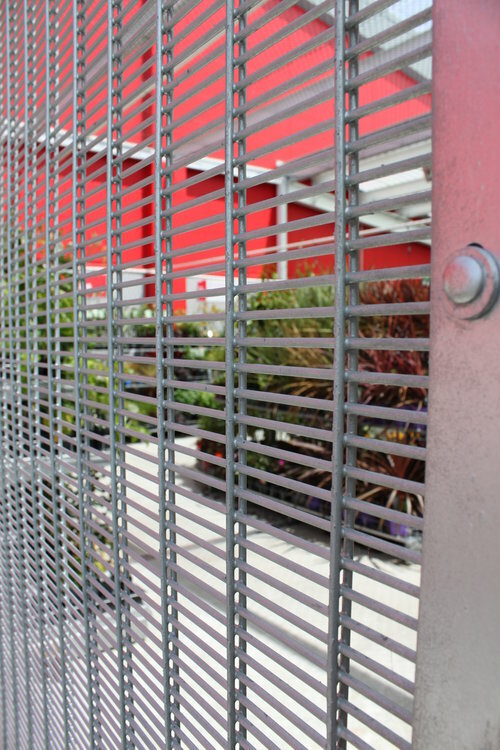 Robust and proven effective, Pipe & Mesh chainlink fencing with the added security of barbed wire still remain one of the most effective perimeter fencing options available.